a fun birthday present! | Is there any wine left? A few summers ago when she was in college, my cousin Christina took on an incredible project — she was the cook for a Christian summer camp. She cooked for more than 100 people everyday! I remember her calling all of our family members to ask if they had bulk recipes. I think our grandmother even called some restaurants that she frequents to ask for recipes in large quantities. In addition to being a fantastic cook, she has an incredible heart for the Lord. Christie is one of the most generous people I know. So I wasn’t surprised by her thoughtfulness when I got a birthday present in the mail from her this week but I was TOTALLY delighted. She was with her husband, Colin, at the oldest continually operating farmers’ market in Ohio last week when they stopped at the spice stand. They got three bags of flavored sugars for me that I can’t wait to try! 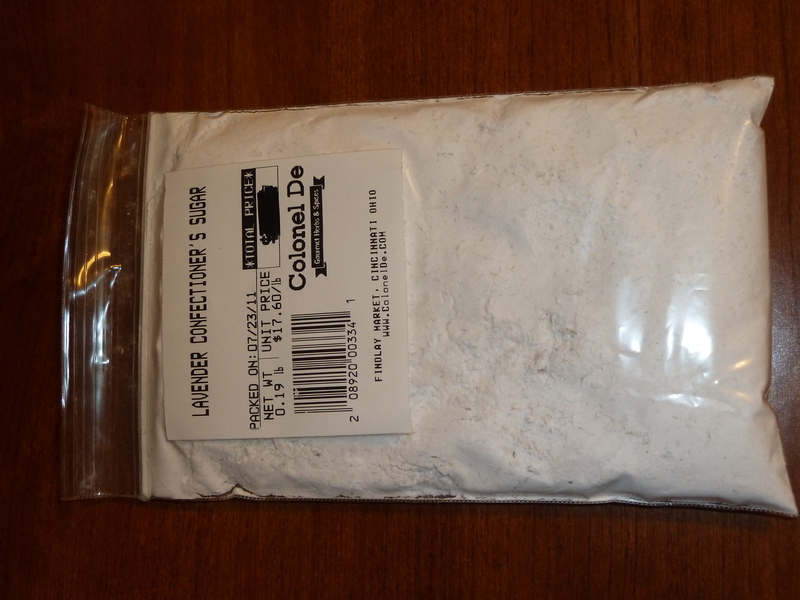 This is the lavender powdered sugar. Christie says she adds to flourless chocolate tortes – yum! You can’t see it in this picture, but there are the tiniest purple flecks in there and it smells so heavenly. 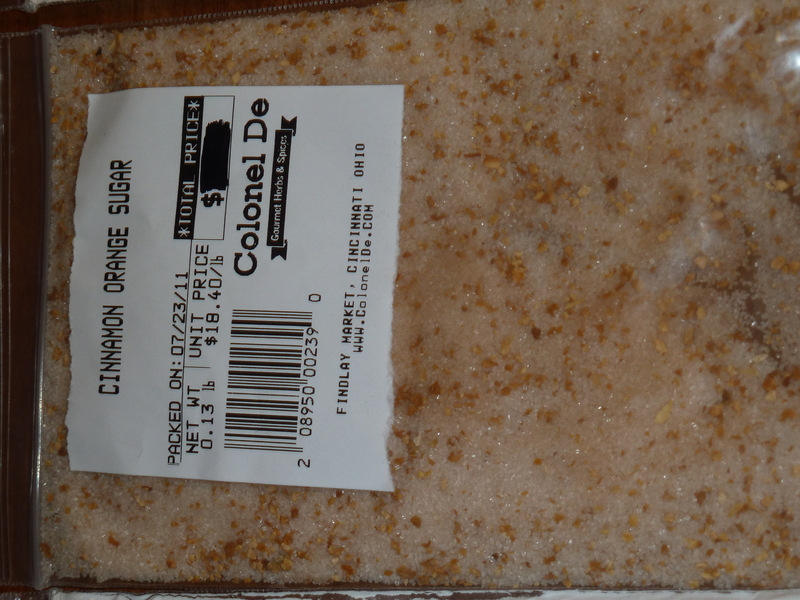 I can’t wait to try this next one — orange cinnamon sugar. Christina said she has used it on cinnamon toast! I was thinking I may try rolling sugar cookies in this before baking them. 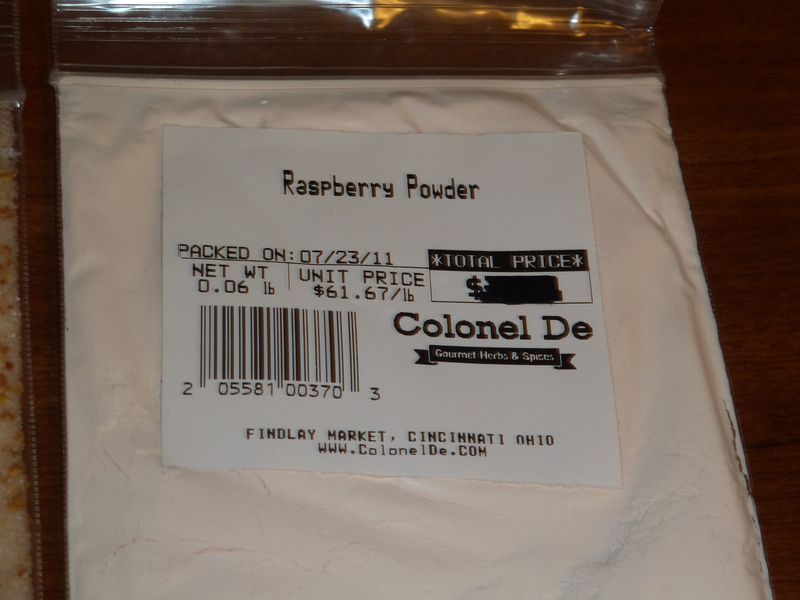 And finally, the one I am most excited about because I didn’t even know such a thing existed — raspberry powder!! This is going into a bowl of whipped cream ASAP! I’ll post about using these soon — and if you have any ideas for what I can make with them please post them in the comments! Thank you so much Christie! Love you! I’m SO glad you got them and you like them. I just knew you would!!!! I couldnt think of anyone better to send them to. Hope you have fun taste testing– and thanks for the shout-out, what a way to make me feel special!